Apex Kidney Foundation had organized a Continuous Dialysis Education (CDE) program for its Dialysis Physicians, Dialysis Technologist & Trainees on Sunday, 25th Nov 2018 at Goa Science Centre, Marine Highway, Miramar, Panaji, Goa. The aim of this event is to review current dialysis practice & to enhance the technical & clinical knowledge of dialysis technicians of AKC which leads to the qualitative improvement in an individual in their capacity as Dialysis professionals and so the improvement in quality of delivering dialysis service to the patients as well. The program was inaugurated by lamp lighting conducted by CHIEF GUEST Dr. Madhumohan Prabhudesai (H.O.D., Urology, GMC & Healthway Hospital) GUESTS OF HONOUR Dr. J P Tiwari (H.O.D., Nephrology, GMC) and Dr. Rajesh Kumar, Dr Shrirang Bichu, Dr Shital Lengade, Mr. Sudhir Bagarao, Ms. Bernadette Pereira, Dr. Sindhu Arjun, Mr. Saiprasad Waigankar. In the lectures session, experts from the field were invited to talk on topic related to dialysis. 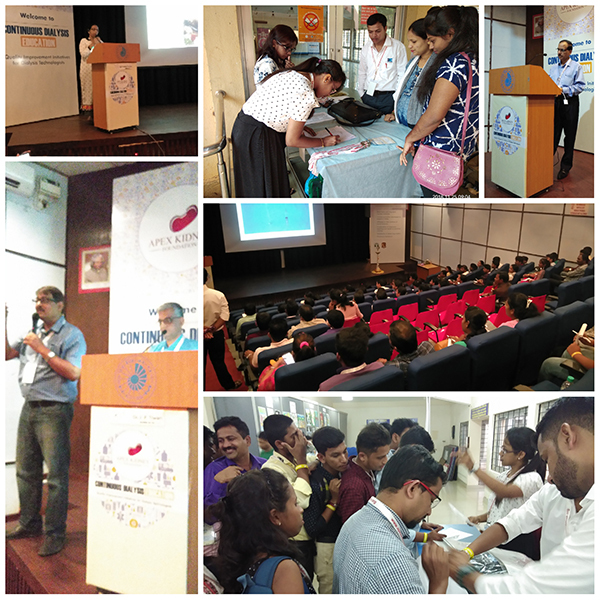 The entire conference was an exhaustive learning experience for all the technologists. A quiz session was arranged towards the end in order to summarize the major lessons learnt throughout the day and each winner in the quiz was award given by Dr Rajesh Kumar Sir (Quiz Winner 1st Prize – Ajit Patil, 2nd Prize Vikram Mandrekar, 3rd Prize Dattaram Gauns.